The Chinese government have donated a second batch of medical equipments to the Port Moresby General Hospital which will be used to treat patients under urology. 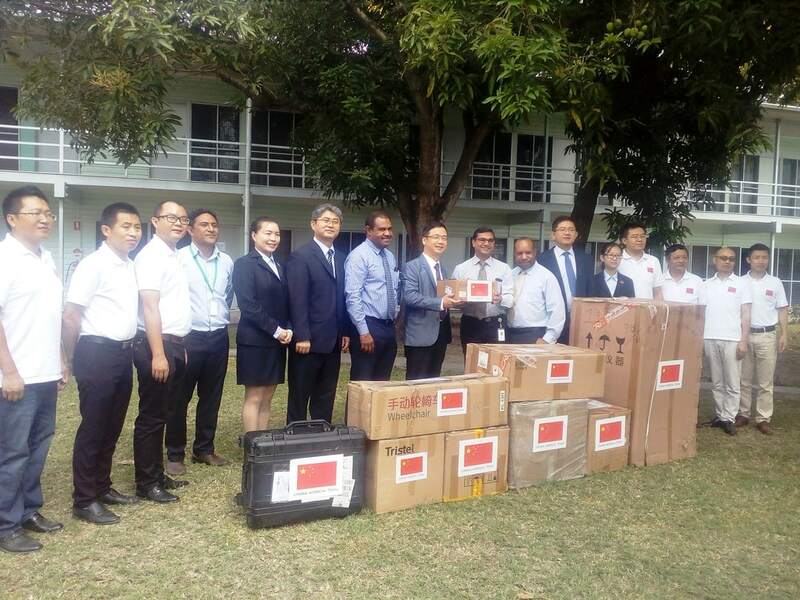 The first batch of equipments arrived five months ago for gastrointestinal diseases which were accompanied by the Chinese Ambassador to PNG Xue Bing. While presenting the equipments, the counsellor for the Chinese Embassy in PNG, Mr Liu Linlin said the donation was made following an agreement by PNG and the Chinese government to help Port Moresby General Hospital to establish a minimally invasive surgery centre within three years. “The equipment will enable urologist to perform the minimally invasive examination, diagnosis, operation to patients, avoiding open operations which cause bigger wounds with greater pain and long recovery period” said Linlin. He also announced that the Chinese government will donate a 3rd batch of Medical equipments towards the end of this year which will extend the medical services from urology to general surgery, Obstetrics and Gynaecology.While receiving the equipments, Senior Urologist and Chairman of the PNG Medical Board Dr Osborne Liko said the donation is timely with the number of patients increasing at the Urology clinic. “Prostate cancer and Prostate enlargement has the highest number of patients crowding our clinic every week at the Port Moresby General Hospital and this donation is of great assistance to serve all those patients” said Dr Liko. Meanwhile the Chief Executive officer for Port Moresby General Hospital Dr Umesh Gupta said the Hospital has undergone a lot of changes over the years and to top it off, the government has allowed the hospital to be a level 7 Hospital. “Amidst all the changes comes this wonderful donation from the Peoples Republic of China which will enable Urology to really shoot off and be able to provide the most modern methods of treatment” said Dr Gupta.